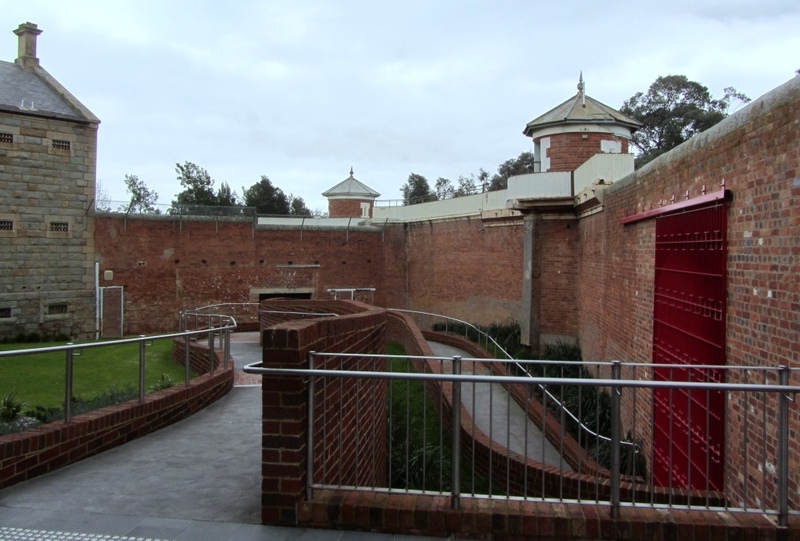 The Ulumbarra Theatre is a performing arts complex in Bendigo, Victoria that is housed in the old Sandhurst Gaol. 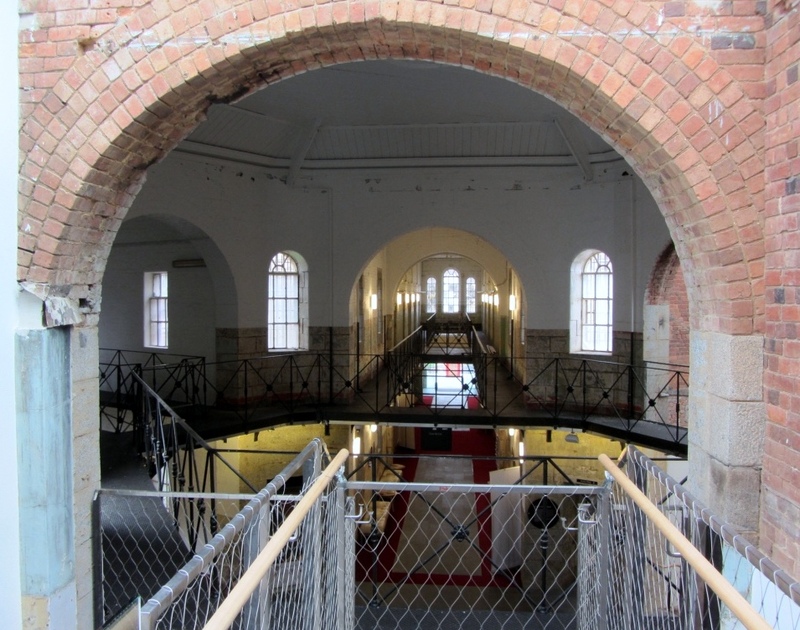 I visited as part of the Sandhurst Gaol Tour. Tours are on Tuesdays at 11am and Saturdays at 2pm. Bookings are essential, book online or through the Bendigo Visitor Centre. The Sandhurst Gaol opened in 1863. It was designed around the pentonville prison model where the wings radiate from a central tower. It operated as a prison until the First World War when it was used as a military detention centre. 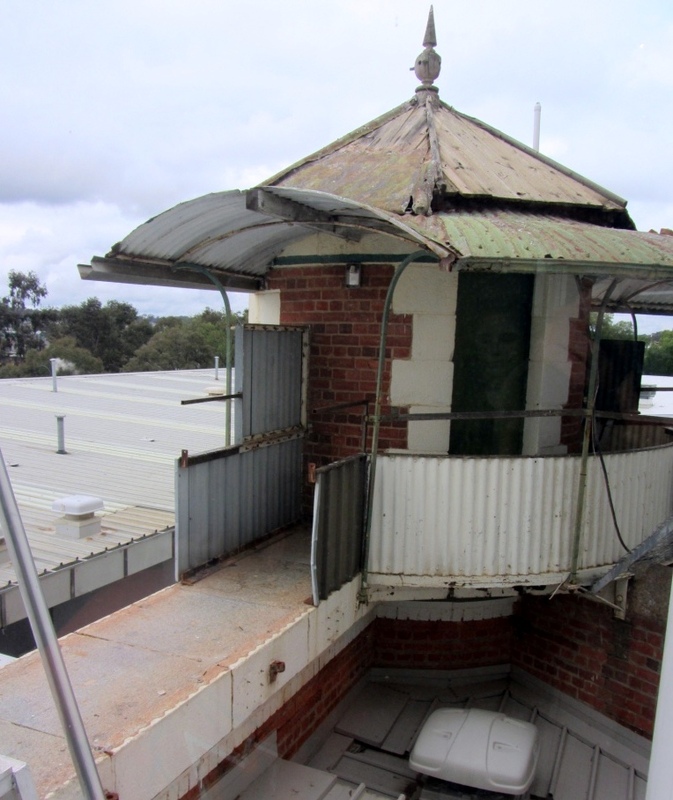 It later operated as the HM Bendigo Training Prison from 1954 until its closure in 2006. 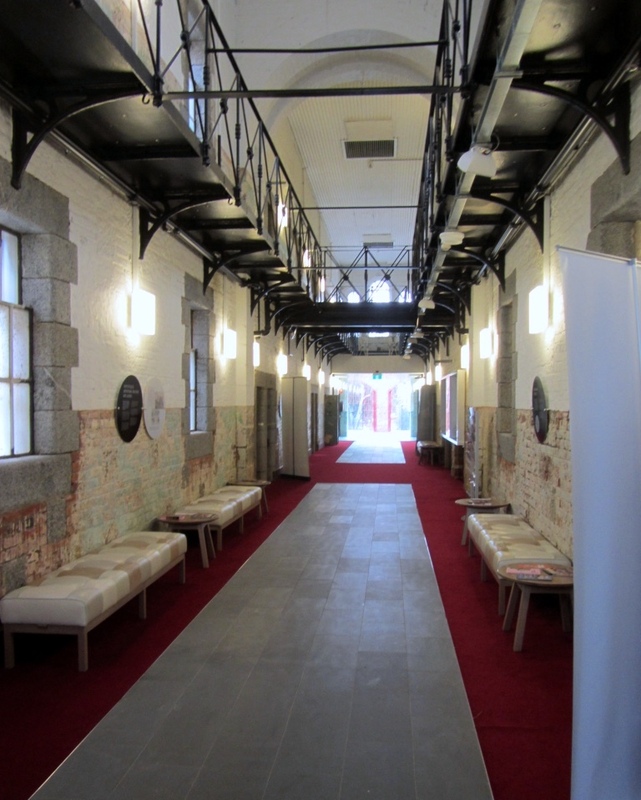 In June 2013 work began on the 25.8 million dollar project to transform the historic prison into a state-of-the-art theatre complex. The theatre officially opened on 17th April 2015. It is amazing how they have combined the historic walls of the prison with modern architecture. The Ulumbarra Theatre includes a 950-seat theatre, music, drama and dance studios, and a commercial learning kitchen. Students from Bendigo Senior Secondary College use the facilities including the kitchen for hospitality classes and other areas for performing arts classes. The word ulumbarra (pronounced u-lum-ba-ra) means gather together or meeting place in the language of the Dja Dja Wurrung people. 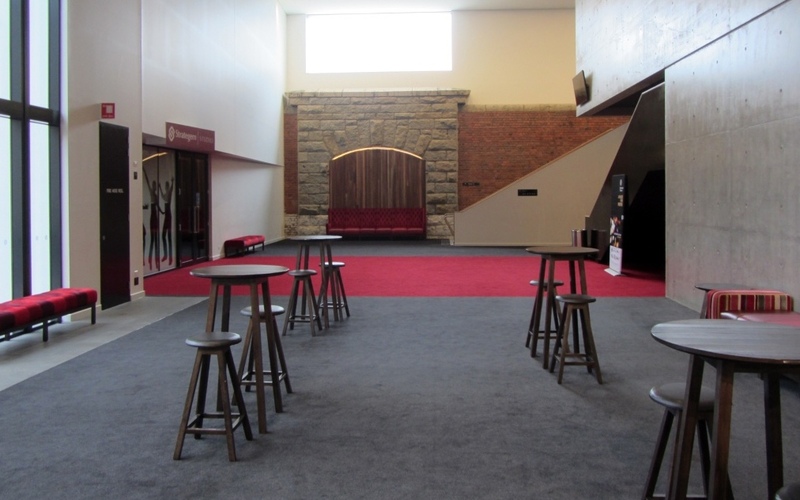 The theatre is located at 10 Gaol Road, Bendigo, between the Bendigo Senior Secondary College and the Tom Flood Sports Centre. 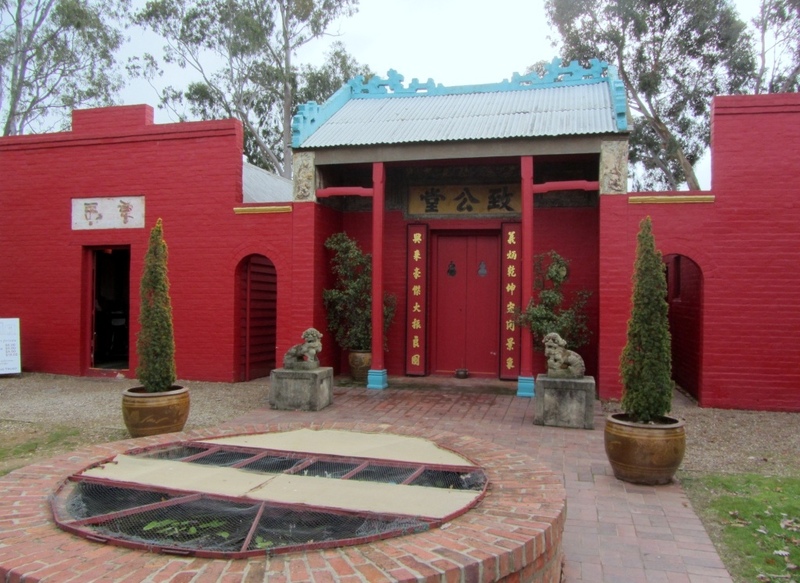 Bendigo Joss House Temple is a Chinese place of worship located in north Bendigo, approximately 150 km (93 miles) north west of Melbourne. The temple is located on Finn Street. It is open everyday from 11am-3pm. Adults are $6, concession $5, child $4, family $18. Combined tickets with the Vintage ‘Talking’ Tram can be purchased. If taking the tram, disembark at Joss House Temple stop and follow the red footpath. 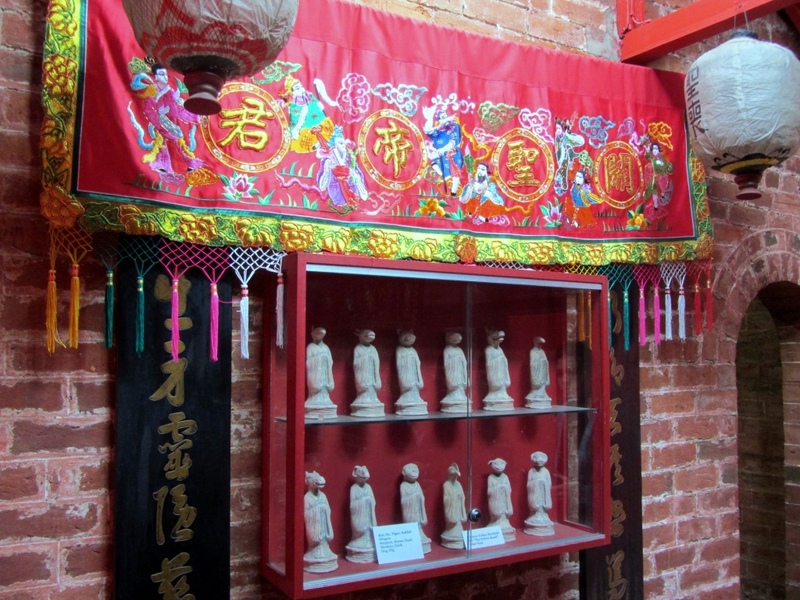 It is believed that the Joss House was built in the 1870s for the Chinese Masonic Society. 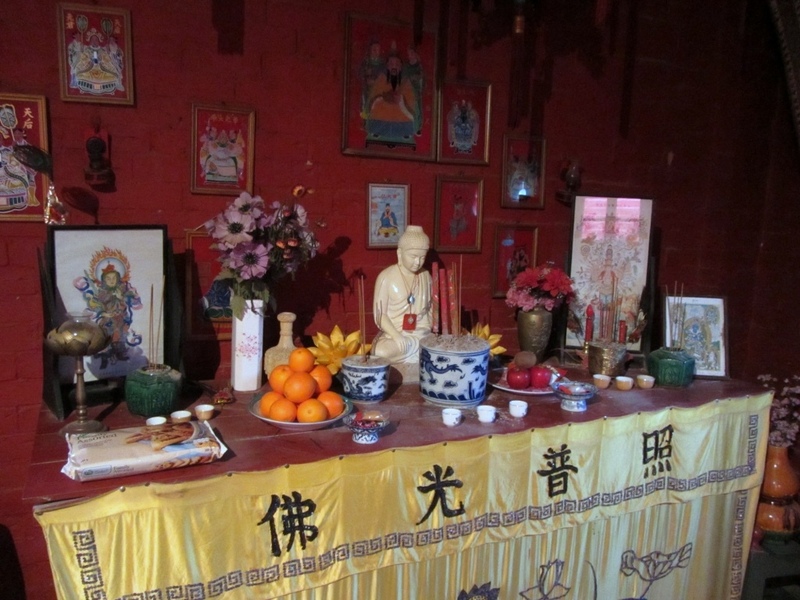 The temple is one of seven that was built to serve the Chinese miners who moved to Bendigo during the goldrush. It is the only surviving temple in Victoria from the goldrush period. The complex contained a caretaker’s residence, Temple and Ancestral Hall. The building is made from handmade painted red bricks. The red symbolises happiness, strength and vitality. 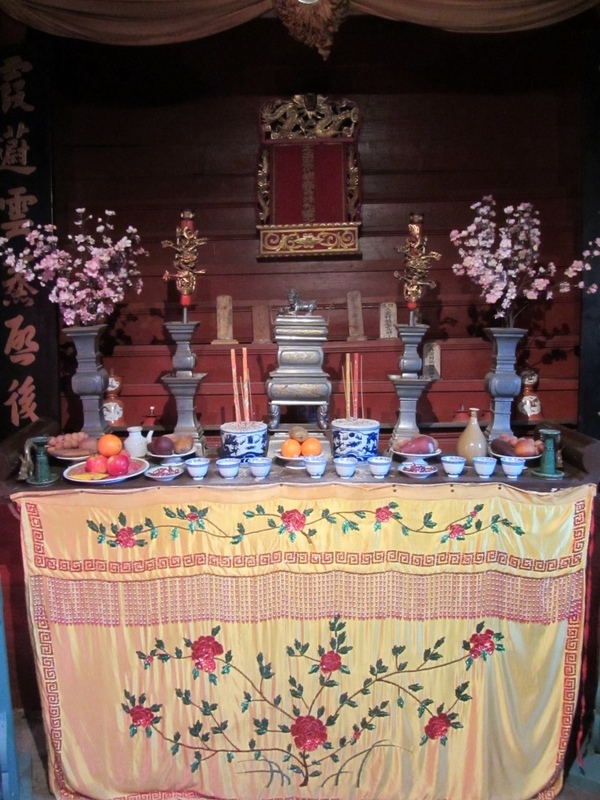 The temple is dedicated to Guan-Di (Kwan Gong), who was the god of war and prosperity. 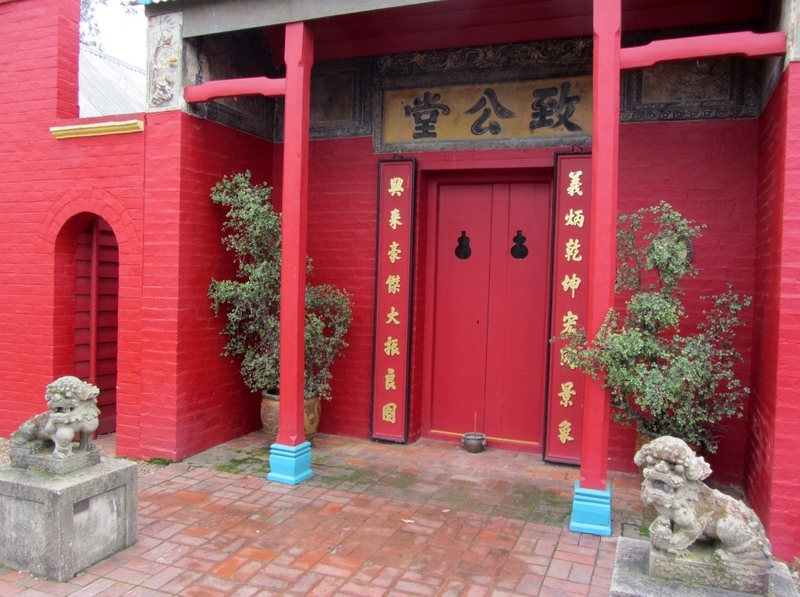 After purchasing tickets a volunteer guide will show visitors around the temple explaining the history of the temple, Chinese culture and the Chinese people’s connection with Bendigo and the goldfields. 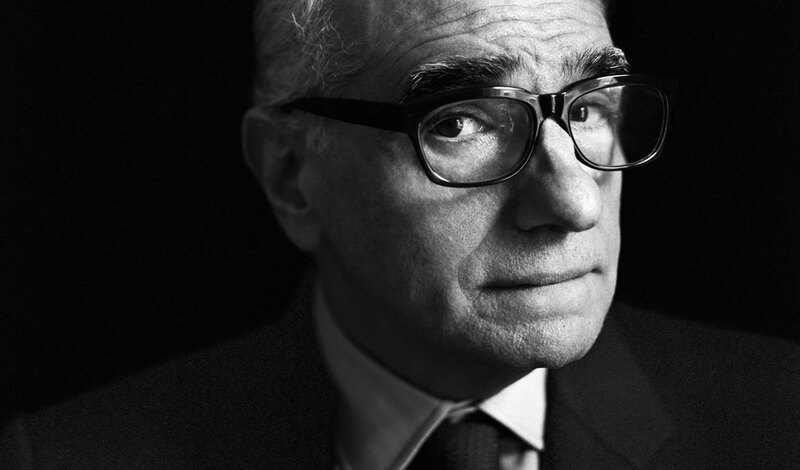 An excellent exhibition on filmmaker Martin Scorsese is currently on at the ACMI in Melbourne, Australia. The exhibition curated by Deutsche Kinmathek, Museum for Film and Television, Berlin, explores the work of American filmmaker Martin Scorsese, who has over 60 credits, including films such as Mean Streets (1973), Taxi Driver (1976), Raging Bull (1980), The Last Temptation of Christ (1988), Goodfellas (1990), Casino (1995), Gangs of New York (2002), The Aviator (2004), The Departed (2006), Hugo (2011), and The Wolf of Wall Street (2013). After scanning your ticket visitors head downstairs to the basement exhibition space. The entrance is painted in blood red and Scorsese’s 1967 student film The Big Shave is looped on a big screen. 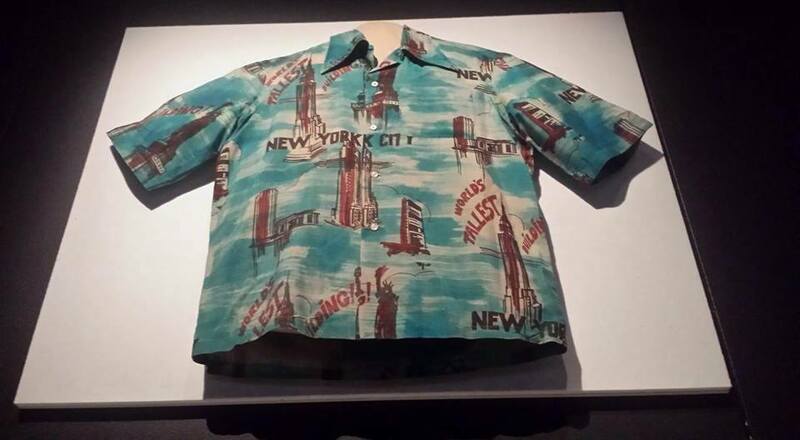 The exhibition, which features around 600 objects, begins around the Scorsese family with a replica of his parent’s New York City living room. The walls are lined with framed family photographs, which tell the story of Scorsese growing up in Little Italy, Manhattan. 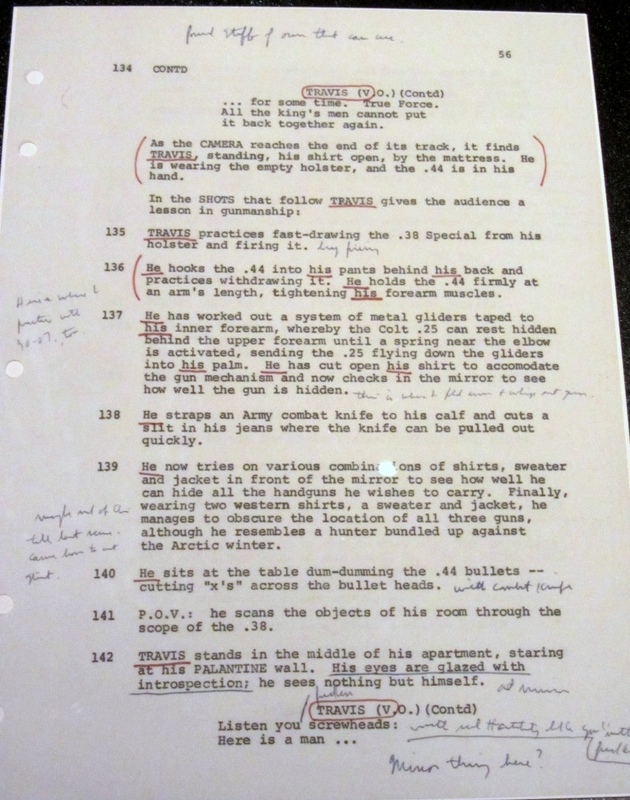 There is a wide range of production materials displayed throughout the exhibition including correspondence, production stills, annotated film scripts, and storyboards. 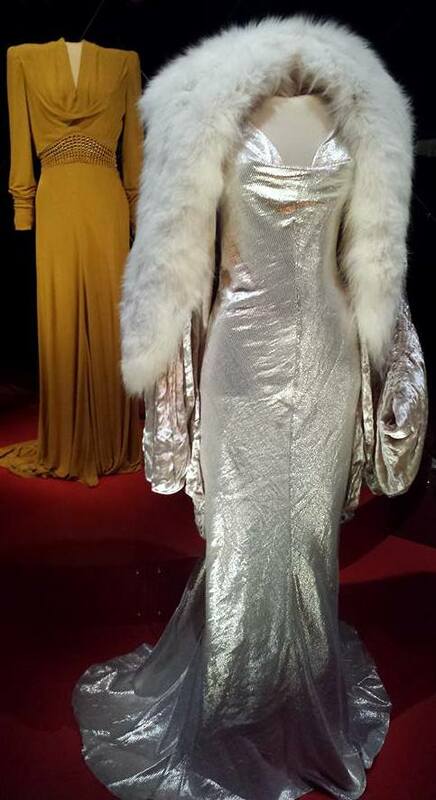 There are also costumes and props on display including costumes from Hugo, The Aviator, and Gangs of New York designed by Academy Award winner Sandy Powell. 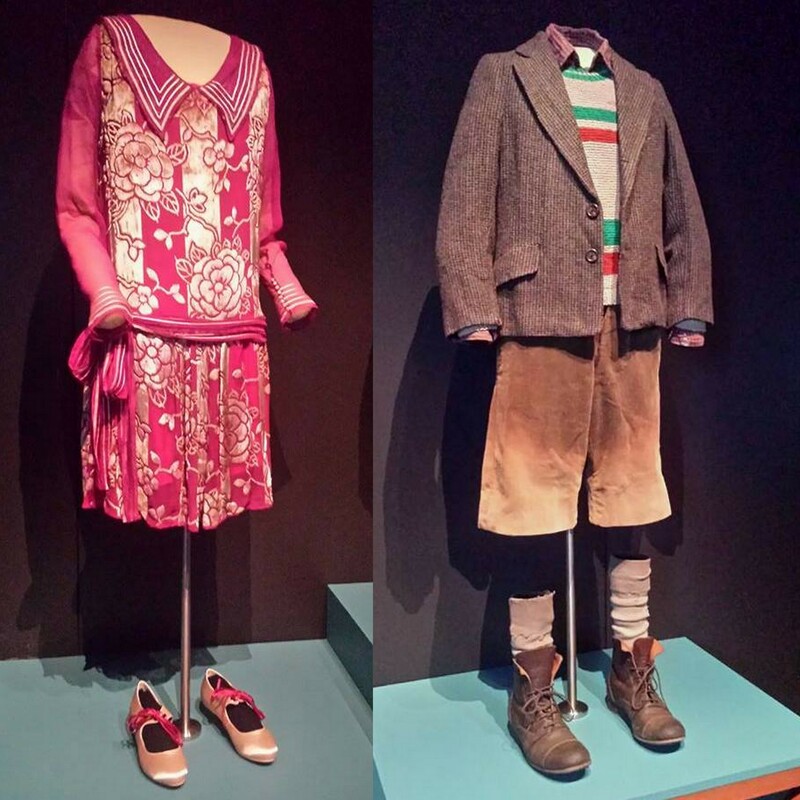 This is the first time Powell’s costumes have been exhibited in Australia. 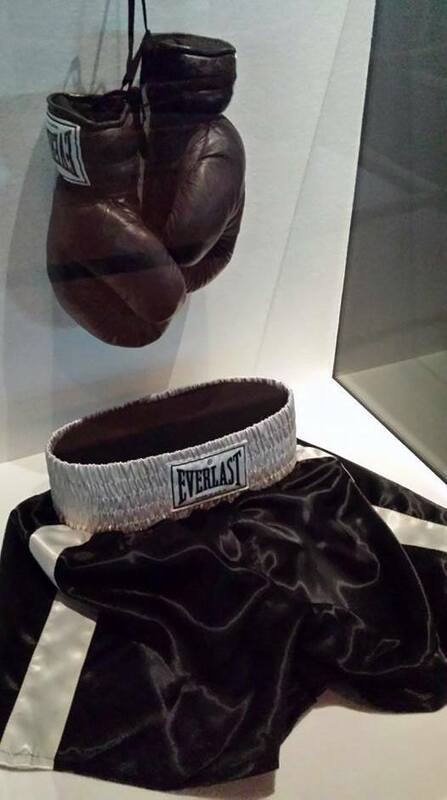 And yes the boxing gloves and shorts from Raging Bull are there! Screens throughout the exhibition play clips from Scorsese’s work. A highlight is a four screen theatre displaying some of the thematic visuals found in his work. There is a free audio guide narrated by Australian actress Rachel Griffiths, with commentary from Scorsese and his editor Thelma Schoonmaker, which can be accessed using ACMI’s free Wifi. So remember to bring your own device and headphones. ACMI (Australian Centre for Moving Image) is located in Federation Square. The exhibition is open Saturday to Thursday 10am to 5pm and 10am to 9pm Friday. Tickets are $25. Concession is $18, ACMI members $17. Exhibition is due to close on Sunday 18th September 2016.